In this study by Schoenfeld et al. , high versus moderate loading with equated tonnage was tested in trained men. The groups performed either 7 sets of 3RM with a 3-minute rest interval or 3 sets of 10RM with a 90-second rest interval. Please note, Dr. Schoenfeld thinks you can do a 3RM for 7 sets across, and a 10RM for 3 sets across. 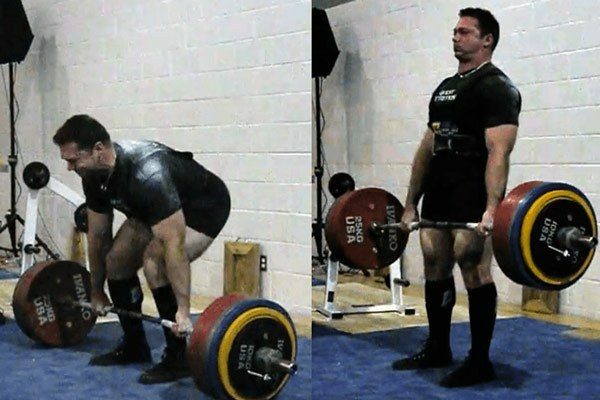 It’s a bit ridiculous to assume a lifter could perform 7 sets with about 90%1RM. I’m guessing Dr. Schoenfeld has never personally attempted such a thing, and therefore does not really understand the concept of a 3RM/10RM, or that he is proposing a new definition of the term. Anyway, the former group, more of a powerlifting-style program, saw significant increases in strength over the latter group, as we would expect, but both groups saw similar increases in muscle thickness (12.6 and 12.7 percent). So, more sets at a higher load with a longer rest interval showed the same results as a lighter load to failure. The researchers controlled it so that tonnage was equal in the workouts. This shows that almost identical hypertrophic effects might be achieved at quite different loads with equalized tonnage, but it's hard to make any inferences from this study. In this study , Schoenfeld et al. tested heavy versus moderate loading in trained men without equated tonnage. Two groups were tested; one group (HEAVY, n=10) would perform 3 sets of 2 to 4 reps based on their 3RM for 7 exercises 3 days per week and the other group's (MODERATE, n=9) only difference was three sets of 8 to 12 reps based on their 10RM, full-body was trained each day for HEAVY and MODERATE. Before I get into the results, how is it possible that multiple sets of 2 to 4 reps were performed with 3RM and multiple sets of 8 to 12 were performed with 10RM? Again, Dr. Schoenfeld demonstrates that he does not understand that this is physiologically impossible, unless the Lab Coats were duped and didn’t get people who were actually trained, so their RMs are not accurate. But wait, that couldn’t be possible, they’re scientists. Both groups saw increases in muscle thickness, but the results slightly favored the MODERATE group. Strength increases favored the HEAVY group significantly. Muscular endurance increases favored the HEAVY group as well. As I stated above, heavy lifting makes one better at muscle endurance by accident. What's surprising about this study is despite the fact that INT's tonnage was drastically lower (about half) than VOL's, they had significantly better hypertrophic responses against the minimal difference in almost all measures. To quote (and add emphasis) them directly: "The major findings of this study indicated that 8 weeks of high-intensity, low-volume resistance training utilizing long rest intervals stimulated significantly greater 1RM bench press and lean arm mass gains compared to moderate intensity, high-volume program utilizing short rest intervals in resistance-trained men. These results are consistent with previous comparative studies in resistance-trained individuals showing high-intensity programs were more conducive for increasing strength while producing a similar magnitude of muscle hypertrophy (Brandenburg and Docherty 2002; Schoenfeld et al. 2014). However, the greater gains in some measures of muscle size observed in INT indicate that high-intensity training may provide a greater stimulus for muscle hypertrophy in trained men." 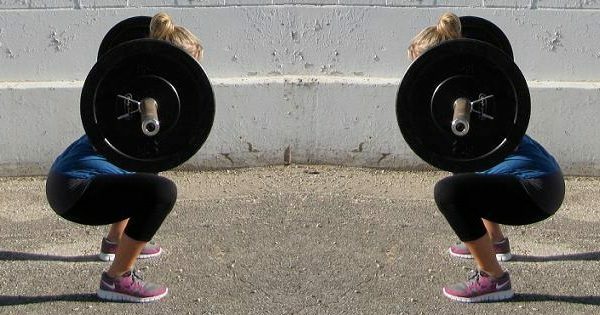 Contradicting our last study, even if the volume and tonnage are relatively low, similar but possibly favorable hypertrophy gains, and significantly superior strength gains can be made in resistance-trained lifters. To me, the link between tonnage and hypertrophy is tenuous. I will hesitate to claim that tonnage is a factor in predicting hypertrophic training outcomes, as the evidence is not on my side and far from conclusive. It seems there is perhaps a positive correlation, but I think it is merely as a byproduct of volume. The more volume we perform, the higher the tonnage will be, especially if the loads are closer to 1RM. However, we don't see any predictive characteristics in tonnage. I would say that volume load is hypertrophic by proxy. Now I come to another sacred cow: frequency. In bodybuilding, the only way to train is with splits. 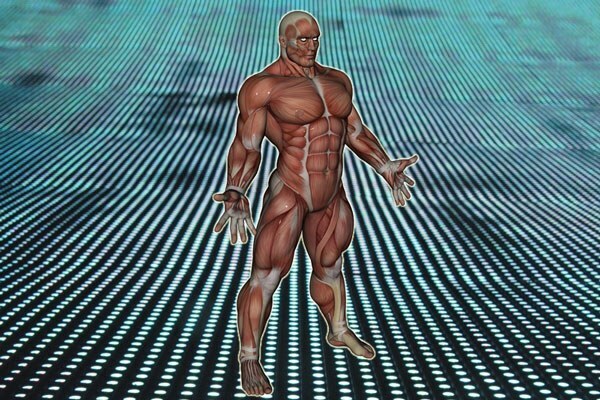 The body is divided into muscle groups, and movement patterns are mostly irrelevant. In some programs, a muscle group will be stressed two or more times in a week, but the majority of bodybuilding splits hit one muscle group for many sets and reps once per week. Let us see what The Literature™ thinks of this approach. In a large-scale study by Hubal et al. , researchers tested isometric maximal voluntary contraction (MVC), dynamic strength (one-repetition maximum (1RM)) of the elbow flexor muscles of each arm, and magnetic resonance imaging (MRI) of the biceps brachii (to determine cross-sectional area (CSA)) after a 12-week progressive dynamic resistance training program of the nondominant arm. 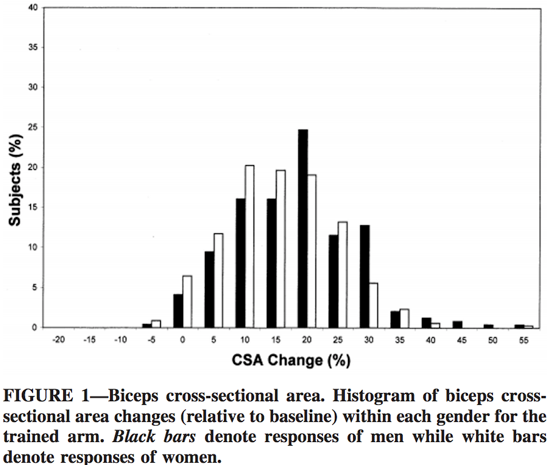 They used these metrics to study the responsiveness of the subjects, seeing a range of muscle size changes from -2 to +59 percent in 585 subjects (342 women and 243 men). Yes, some folks had an extremely poor response to the training and regressed ever-so-slightly. However, it was found that the level of "low-responders” or “non-responders" was much higher as the frequency of training was lower. As the group was required to do more work in the study, low-/non-responsiveness was much less prevalent and "high-responsiveness" was much more common. What does this mean? Across the board, when some form of a medical/health/fitness intervention is applied to a large sample, we will see a huge variation in response to the applied stress. This is because of the natural variation that humans display. When the stress is equated, as in this study, we see several subjects respond exceedingly well and their hypertrophic results were great, despite the minimal intervention. However, we also see several subjects respond either negatively or with single-digit positive percentages. Does this, perhaps, look similar to a bell curve? The histogram created in the study looks almost identical to a normal distribution, or a bell curve, and reinforces Homo sapiens’ predictable uniformity in variation. One man and two women were below zero percent, but most men and women were bunched up between 5 and 30 percent. There were several male outliers and two women at 40+ percent, making the distribution skew right. Overall, this comports well with a normal distribution, as approximately 68 percent of the population would fall within one standard deviation from the mean and about 95 percent would be within two standard deviations of the mean. Essentially, there needs to be an interplay between the intensity and volume to optimize training, as every good coach knows. 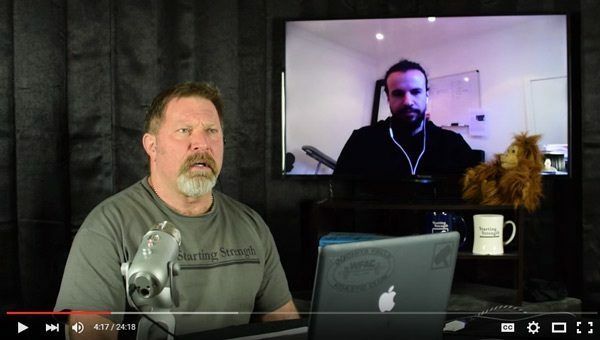 Moreover, it is recommended that cycles of higher load and lower loads be utilized if one wants to maximize hypertrophy, as type I and type II fibers will be recruited in our intensity's proximity to 1RM, as we discussed earlier. If very low loads are used, one must hit a high amount of tonnage to produce an overload event. A set with 20 or more reps is what we in The Biz call “masturbation.” If we are messing with a weight that can be tossed around for 20+ reps, this will be played  repeatedly through the speakers because masturbation is strictly forbidden in the weight room. The intensity necessary in order to perform these high-rep sets is absurdly low and it's likely that after one becomes well-trained, such low intensities will not disrupt homeostasis unless immense tonnage is accumulated. Lastly, if you are predominantly interested in strength, it doesn't seem to be optimal to drop the load below ~65%1RM at any point in training unless you just want to have fun and get The Pump™. The Reader will have problems with both programs and will feel the desire to nitpick, but remember that laboratory programs have to be quite uniform and specific so the Lab coats can eliminate as many variables as possible. For the most part, these are pretty solid training programs and represent each philosophy quite well. The results were close to what I would expect, although no significant increases in strength were found in one group over the other. The 1RM bench, squat, and row improvements favored the TOTAL group but the differences were not significant. However, the hypertrophy response was significantly greater in the TOTAL group. I believe this stems in part, from the difference in Total Load Lifted, which favored the TOTAL group over SPLIT. The weekly difference in tonnage was insignificant while favoring the TOTAL group, but over time this created a significant difference in training tonnage. This is because the TOTAL prescription allowed 24 hours of rest between exercises for each muscle group, which resulted in higher volume and tonnage per exercise. We know that tonnage is not predictive of hypertrophy, but it seems to be a byproduct of the training that is predictive of hypertrophy. The TOTAL group accumulating more volume and tonnage is not surprising, as it's obvious to anybody who has done a bodybuilding split that by the third consecutive exercise for a single muscle group there is a substantial amount of peripheral fatigue limiting the load with which a lifter can work on the later sets. Is this a perfect study? Nope, but one will ever create a perfect study. What we have, though, is a dandy, highly unique experiment that illustrates an important principle: frequency is better than annihilation. If we can hit a muscle group with 15 working sets over a week and lift heavier loads during those sets than we would be able to if we were to execute all of those sets in one day, we will have better results. In case it needs to be explicitly stated, I’m not saying that we should never do multiple pressing, squatting, or pulling exercises in a single workout, but we don’t need to do all of our week’s sets in one workout to maximize hypertrophy. This is obvious when we take the time to think it through, and in this case, The Literature™ corroborates our logic. Recall the story of Milo of Croton. He was the great Olympian wrestler who carried a calf over his shoulders every day, and as it grew so did his strength. Eventually, he was able to carry an adult bull on his shoulders over a remarkable distance. (In one the most badass death stories of all time, he got lodged in a tree while trying to rip it in half and was eaten by wolves). Find Pietro della Valle’s depiction of Milo and bow to him. It does not matter that this story is almost certainly apocryphal. As all mythological stories do, it illustrates a point that is essential to our nature and not bounded by historical truth. He would not have grown in the same way if he carried the bull seven times every Monday as he did carrying the bull once every day. Anyone who has executed a bodybuilding split for an extended period of time knows that after a workout the muscle group that was trained is quite sore, sometimes totally debilitated, for 24-72 hours. The golden retriever who created this bodybuilding program vindicates this soreness with the rationalization that there will be plenty of time to recover, often a whole week. However, even with this insane workload for one day, it's likely that the lifter is fully recovered after 48 to 72 hours following the workout, and this timeframe shrinks as one becomes more trained due to the Repeated Bout Effect. What then for the next 96 hours? Detraining. It's likely that the lifter will fall back approximately to the homeostatic range where he lived prior to the previous workout with only a minimal gain in strength and/or hypertrophy, if any. It is the opinion of This Writer that the lifter should rarely be sore. 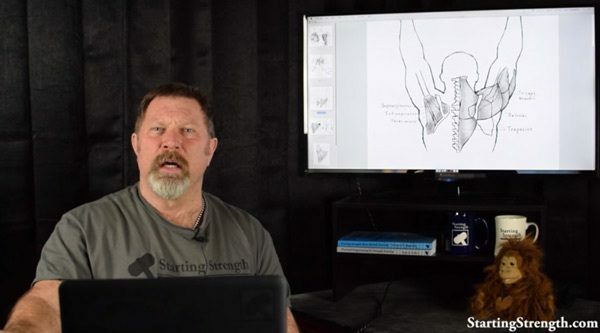 If the lifter is sore regularly, the programming is not appropriate for the lifter's training history, level of stress, nutrition, shoelace color, rest, etc. The last study didn't show significant strength gains in the TOTAL group, but I chalk that up to the rep range being moderate instead of low to moderate. This is not a big deal, as the researchers were wise to make all the lifting equal save the schedule. Ideally, a similar study would include a third cohort lifting heavy while accumulating similar volume, although we don't need any more evidence that lifting heavy makes us strong. 1. VOLUME – we need to do a lot of work. 2. FREQUENCY - we are not overtrained, hit it hard and often. 3. INTENSITY - we must not fly too close to the sun, but we need to lift heavy. It gives us a scheduled break from an insane level of volume, upwards of 20-25 working sets per movement per week, as this brings on a tidal wave of central fatigue after several consecutive weeks. It allows us to get stronger, which will make our working sets in the volume phase heavier than they were in the previous volume phase. In other words, if a level of volume at a certain intensity needs to be reached for optimized hypertrophy, it would follow that a lifter who can perform that work with a heavier load (more tonnage) is probably bigger and stronger than the one who has to use a lighter load (less tonnage) at the same intensity. It gives our training some welcomed variety, making it more fun (thus aiding adherence and overall disposition) and utilizing all the muscle fiber types we have. He is using all the steroids available and has such a remarkable work capacity that he can do this without dying. The intensity is so low that this level of volume becomes a recoverable stimulus after a few weeks of adaptation. However, at this level of intensity, our bodies can accommodate to it in such a way that we will no longer see it as a viable overload event, i.e. we will not become Milo of Croton, but rather Milton the Bricklayer's Helper. We saw evidence of this in the Hubal et al. study , as the second group using loads below 60%1RM needed to accumulate a ridiculous amount of tonnage to get anywhere near an overload event. However, tonnage is not predictive of hypertrophy. So, to reiterate, sub-60%1RM shows little value for hypertrophy, 15 or more reps shows no improvement for hypertrophy over 1-12 reps, and more tonnage isn’t necessarily more beneficial than less tonnage. In other words, high-rep sets carry little but wasted time, the one resource with which we cannot be complacent, as our heart beats for a blip and then we disintegrate into the ether from which we came. Volume is all-powerful. In order to achieve the look of the Farnese Hercules, we must imagine him performing his 12 sets of labor. Volume needs to be understood and calculated so that we know what we have been doing previously, where we are now, and where we need to go with our programming in the future. Sets of 3 to 8 reps are where most training should likely fall, with a rep or two left in the tank in most cases. RM sets are important, but our training cannot be based on such brutally taxing performances. 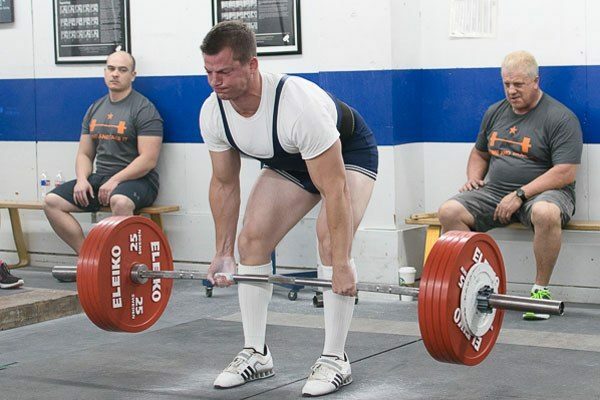 Practicing singles is great for strength-minded lifters, but not good for accumulating volume. Sets of 12 are potent dosages of volume, but not overwhelmingly beneficial to strength because of their distance from 1RM, so we need to go back and forth throughout our training phases. The thought process on how to approach this is best understood through the Grey Book, Practical Programming for Strength Training, 3rd edition. Frequency is the second ally of the man yearning for aesthetics. No story illustrates its importance better than Milo's. As we become more trained, we are going to need to hit movements/muscle groups more often. That is just a consequence of becoming a beast. I already explained why it is counterproductive to hit all of our working sets per movement/muscle group in one workout, e.g. strict bodybuilding splits. Look instead to full-body workouts 3 or 4 days per week or an upper/lower split 4 days per week. I think the 4-Day Texas Method splits from the Grey Book are an excellent place to start. Those versatile paradigms seem to be the best schedules for the Un-Novice Lifter™. Intensity/Load is always going to be a major factor. It is best to keep the story of Icarus in one's mind when programming intensity. Flying too close to the sun, 95-100%1RM, is bound to cause some crashing and burning, but so will flying too close to the sea, sub-60%1RM. We are aware that Homo sapiens' relationship with the world around him is based on force production, so it is better that he is strong rather than weak. Intensity will be highest during a strength phase and will slowly decrease as we titrate up our volume, although we know from The Literature™ that dipping below 60 percent of our 1RM for high-rep sets is tomfoolery. Never forget that a 20+ rep set is masturbation. For now, meditate on Herculean Volume, Milo's Frequency, and the Intensity of Icarus. 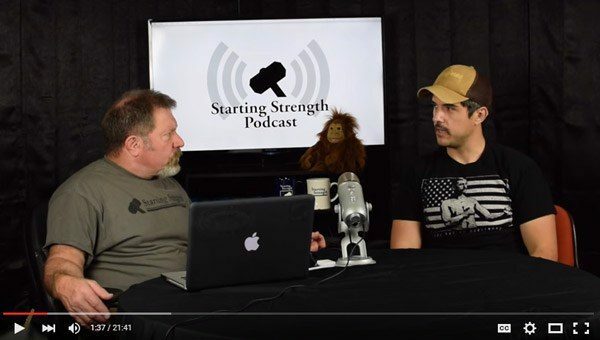 We are north of 12,500 words and a Deep Dive into how we should go about programming for maximized hypertrophy will bring at least another 5K. See the Grey Book for a proper introduction to the necessary thought processes for programming. Perhaps a post will arrive in the future about how to program for maximal hypertrophy, although it would look quite similar to the Grey Book with a bit more emphasis on volume and frequency. Anyway, I should end this thing because most folks checked out somewhere in the middle of this series, if they even got that far. They cannot handle this article because they are weak – physically, mentally, and spiritually. They have not realized their will to power. The Reader and I know this about these people and it gives us the right to look down on them. And, since they aren’t seeing this, it’ll be our little secret. I can say anything I want down here, it’s just me and you, The Reader. Footloose is the worst movie I've ever seen and Jennifer Aniston is starting to show a bit of aging. This is alarming for me because she has been hot longer than I have been alive. Clearly, my death is impending. The Reader does not deserve to absorb this article for free. The above is a compilation of 330+ studies. Send me $1 million. Then, go lift some weights.